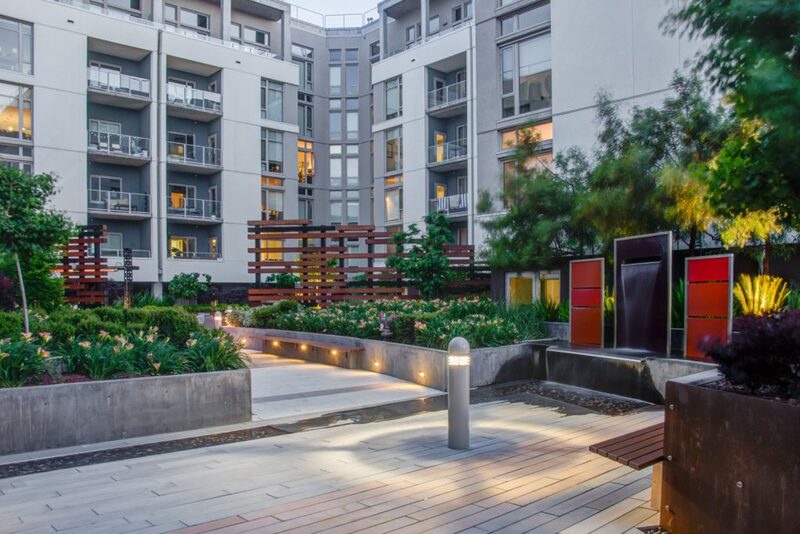 For this contemporary LEED Gold mixed-use complex with 315 apartments, PGAdesign created two amenity-rich podium-level courtyards. 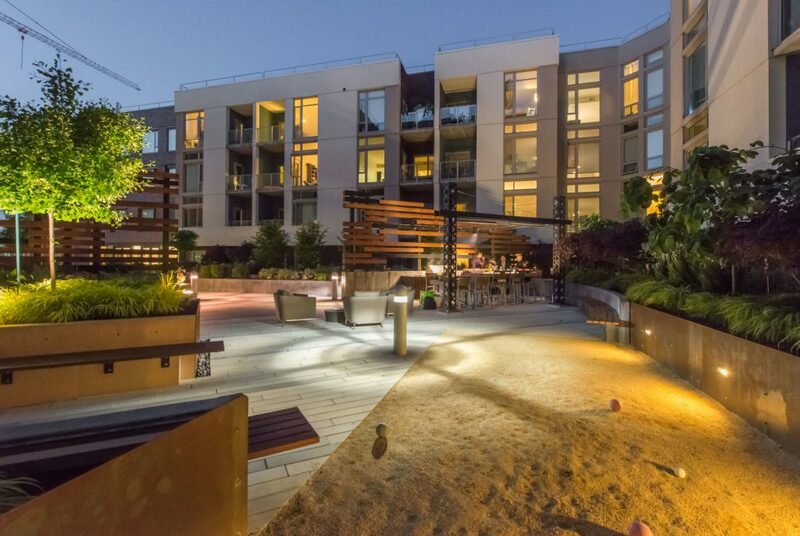 In addition to the project’s Fourth Street retail frontage, there are two street frontages and one mews frontage with stoops along the public street. 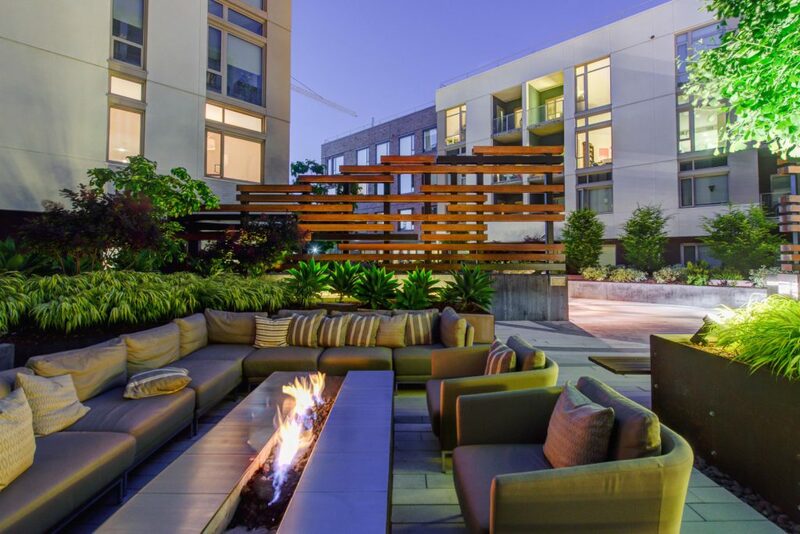 At the north edge of the block, two private street-level patios with contemporary detailing visually connect to the courtyards above. 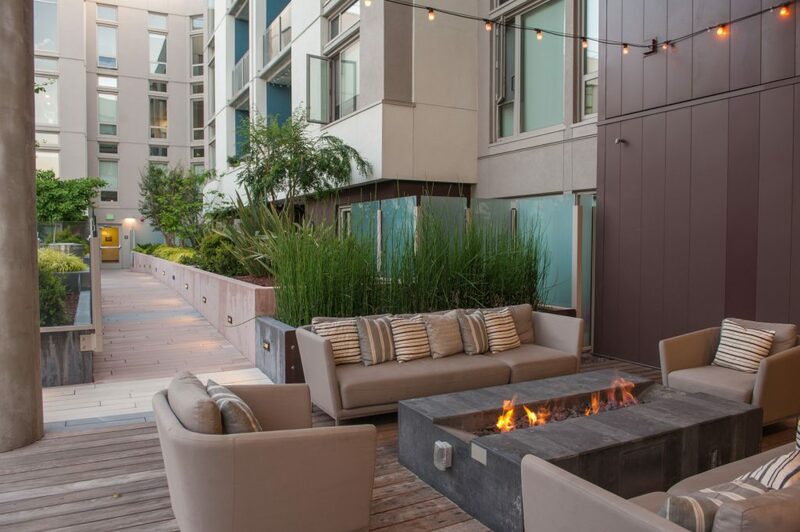 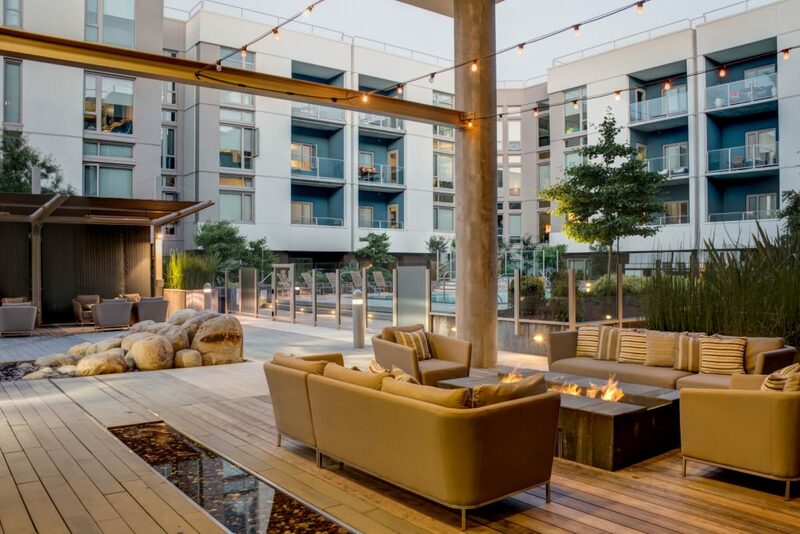 The west courtyard at the upper level offers peaceful activity and social spaces, such as an outdoor fireplace, a yoga area, and a bocce court. 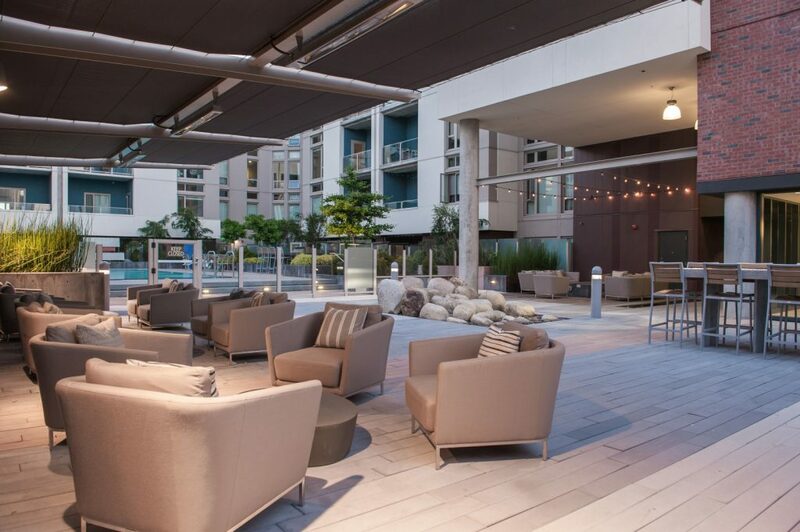 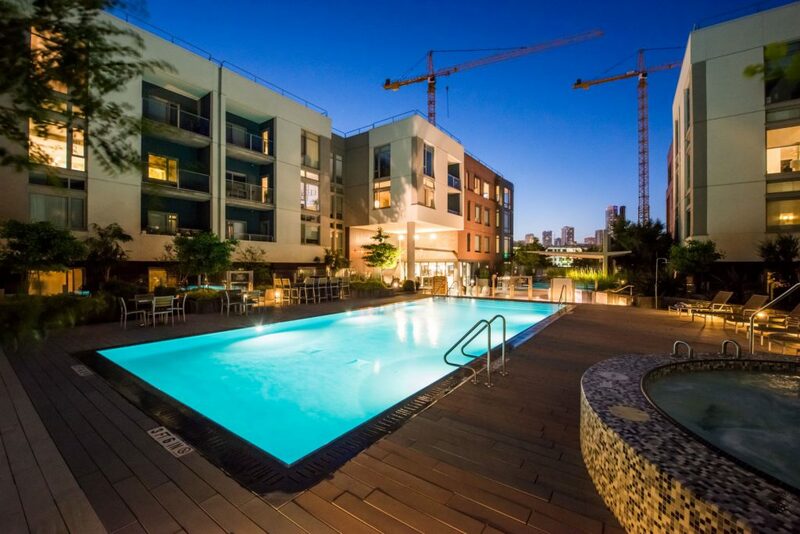 The east courtyard focuses on activity spaces, with a fitness center, a pool and spa, and a trellised outdoor dining area with a lounge and a kitchen. 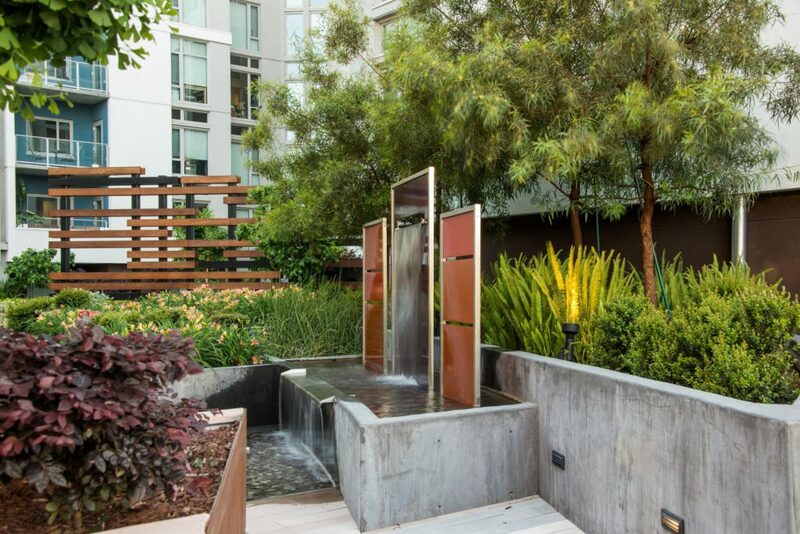 A runnel fountain links the courtyards via a breezeway that offers a spectacular view of the city’s skyline.